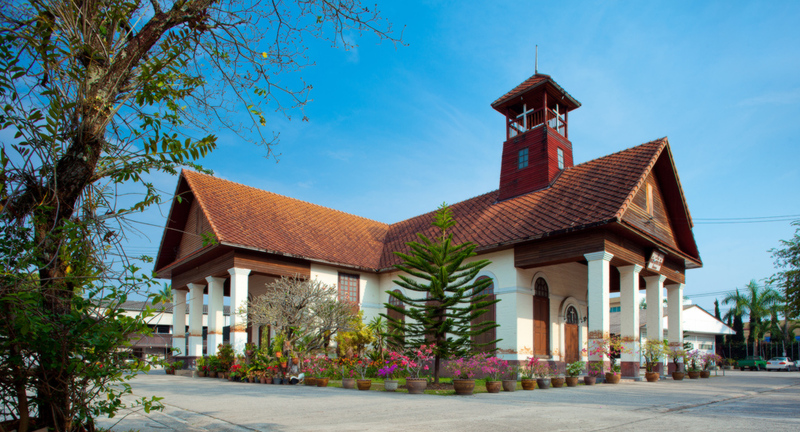 Wiang Chiang Rai Christian Church 1 has been the first church in Chiang Rai City built by Dr. William A. Briggs of the American Presbyterian Missionary Team. The money spent on the construction was from donations and the church was completed in 1914. The plan of the church is in Latin cross form consisting of the main nave for arranging the religious rites, the North and South transepts of the building in the mezzanine floor and the rear part used to be a Bible classroom for children. The structure of the church is supported by brick masonry walls of which the size of brick is larger than the common brick. The front and the side porch have large pillars to support the weight of the gable. There is a window in the middle of the gable. On the roof of the front entrance, there is a square bell tower for the religious rites. The roof of a steel structure is covered with red-brown tiles. In the middle of bird-wing roof, there is a wooden frame indicating the name of the church and a symbol of a red cross on white background. 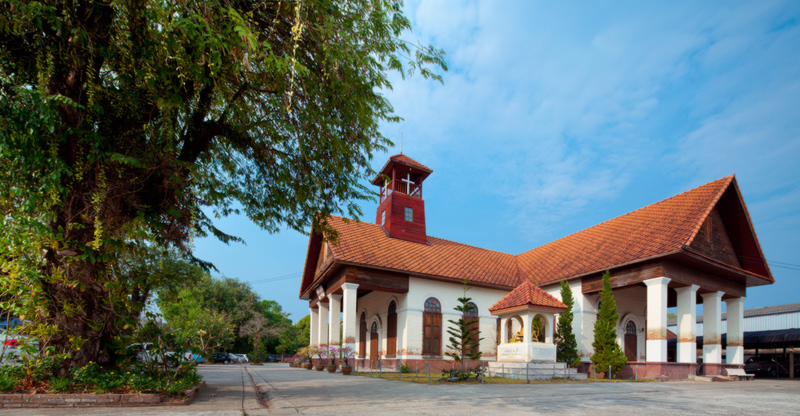 The architecture of this church was influenced by the Colonial art style. the bell was imported from the United States. Presently, the bell is kept at the pavilion beside the church because the old bell tower cannot weight the bell. During the World War II, the Japanese army used the church as a store of military supplies. After the war ended, it returned to the Christian church. Fie the last restoration in 1997, the wooden structure of the building was changed to the steel structure and the terracotta tiles of the roof were changed to cement tiles.